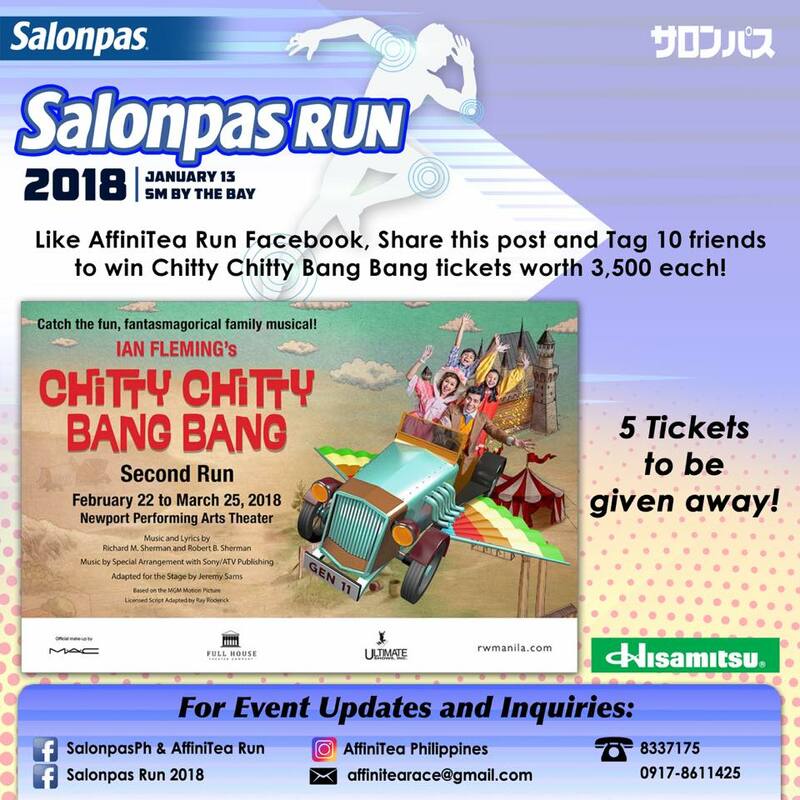 Home / Affinitea / Affinitea Race / Affinitea Run / Running Event / Running Event Details / Salonpas Run / Salonpas Run 2018 / Join Salonpas Run 2018 and Win Exciting Prizes! Start the year fit! This 2018, burn those fats and calories obtained from the off season events. Time to move that body and return to the running scene. 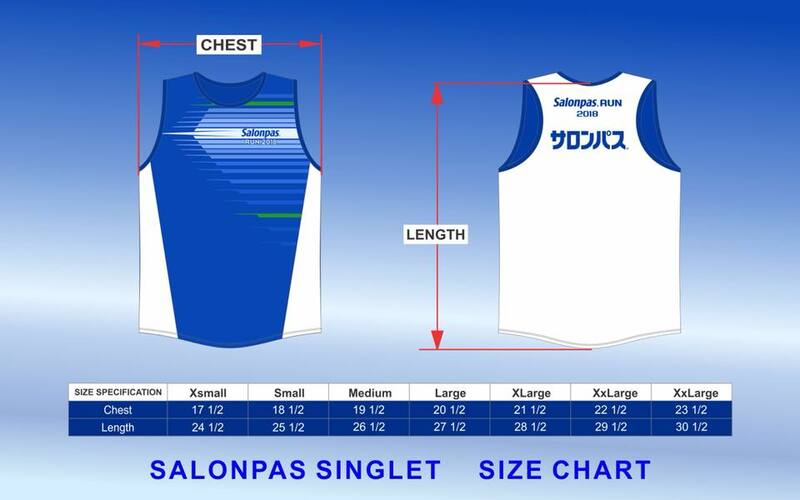 And one of the great runs this January 2018 is the Salonpas Run! 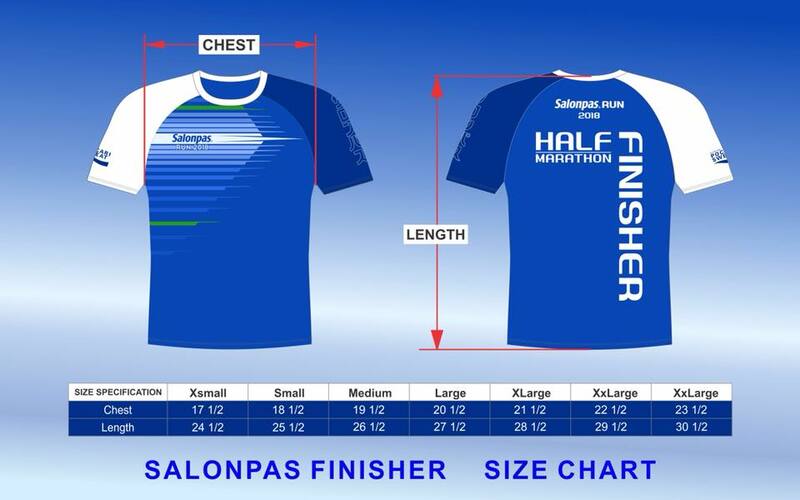 Yes, this is the very first Salonpas Run in Asia-Pacific organized by AffiniTea Race. Definitely, we will create again another history joining in this race! Details of the race? Well, please see the poster above. 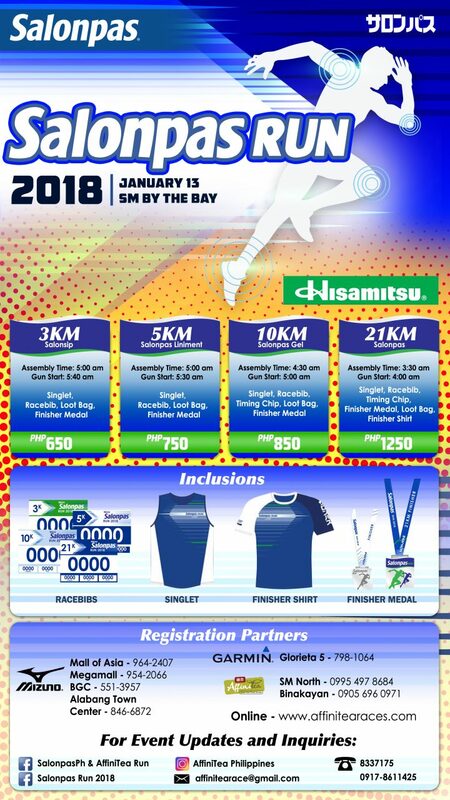 What's good about joining this running event is that, we will also eligible in winning exciting prizes. And one of these is the Chitty Chitty Bang Bang tickets. It's so easy to join! Like the Facebook Fanpage of Affinitea Race, share this photo below, and tag 10 of your friends! Online and in-store registration is still on-going.